Fill out the form below, and we’ll send you more information about the Master of Social Work Online MSW program. Advocate for the vulnerable and promote overall well-being. Diverse populations are impacted by diverse challenges. Mental health, human rights, homelessness, addiction and social welfare are all among the most critical issues faced today. When you earn your Master of Social Work, you will help protect the rights and interests of some of society’s most vulnerable segments. Social work is among the fastest growing occupations in America, with a projected 16 percent employment growth from 2016 to 2026. The Master of Social Work program through UCF Online will provide you with the tools you need to affect the lives of those who need it most. 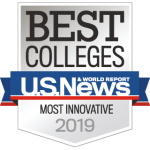 You’ll learn how to promote social and economic justice, human rights, and overall well-being through topics such as behavioral-health policy, managing diverse client populations, social work best practices, and more. You’ll graduate ready to create a positive impact in your community and beyond. 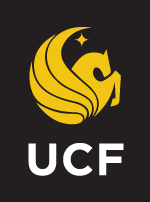 UCF Online’s program is designed specifically for students who do not have a Bachelor of Social Work or who completed their BSW more than five years ago. This nine-semester program offers options for clinical specialization and field experience, which will complement your coursework and further refine your practice skills. 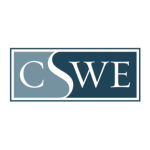 When you complete this online MSW degree program, you’ll be prepared to succeed in the rewarding field of social work. Get started today to begin impacting lives tomorrow. UCF courses are making me a better social worker. I am learning new things everyday and applying it at my job and internship.